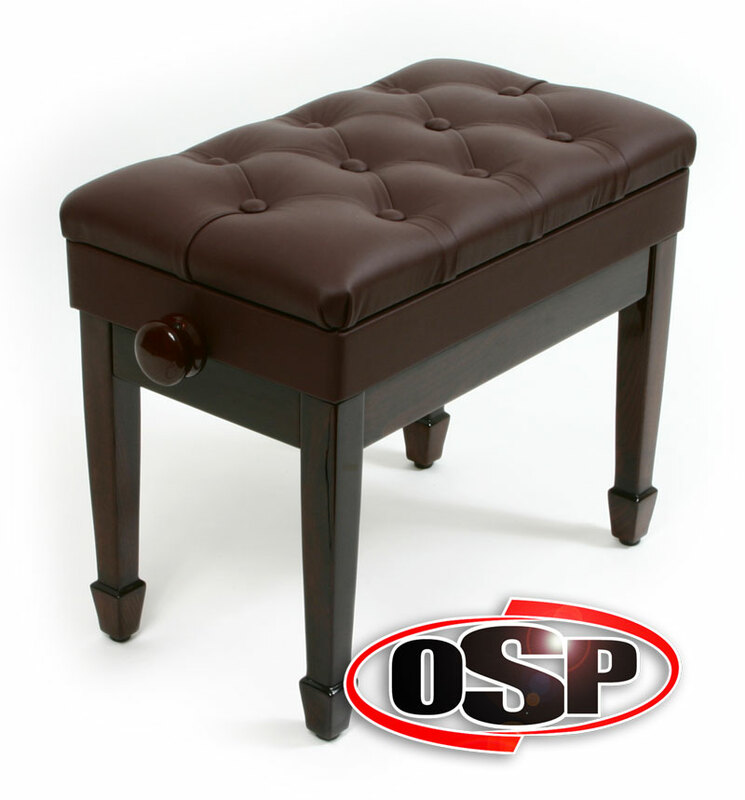 OSP artist benches are manufactured to exacting standards and is a quality product at an amazing price. 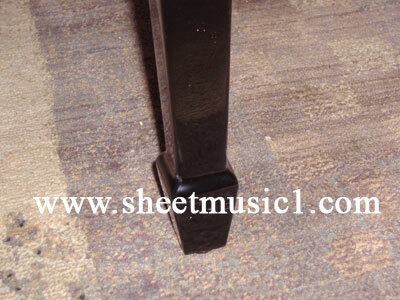 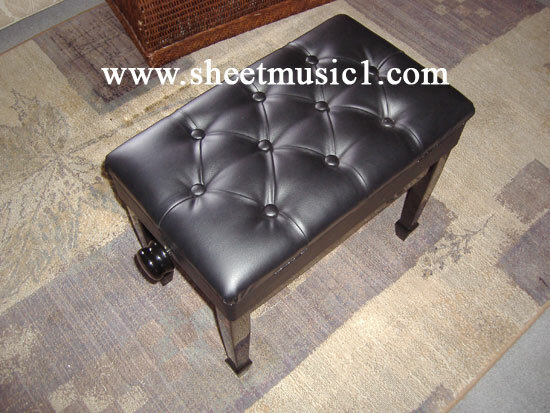 Recommended by piano teachers, the artist bench insures that the player will be seated at the proper height to maintain the correct hand position. 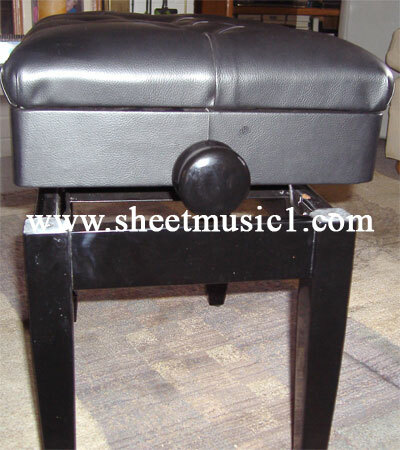 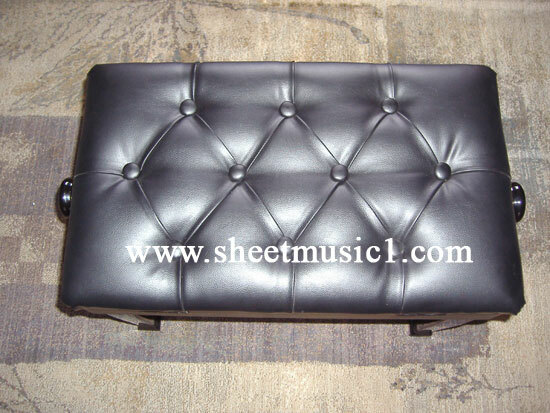 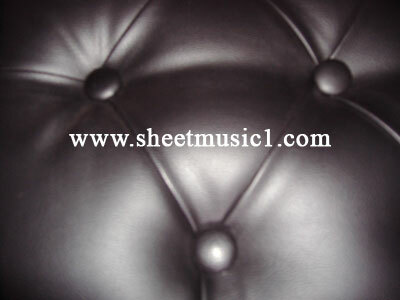 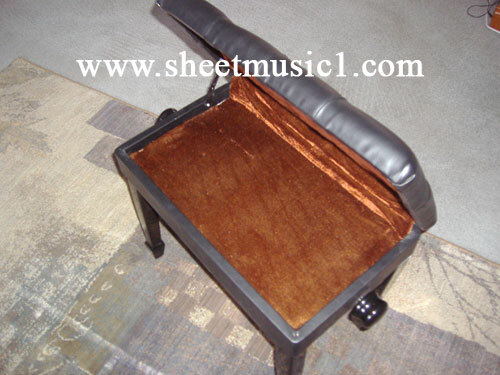 Artist benches are used by concert pianists around the world for this exact reason. 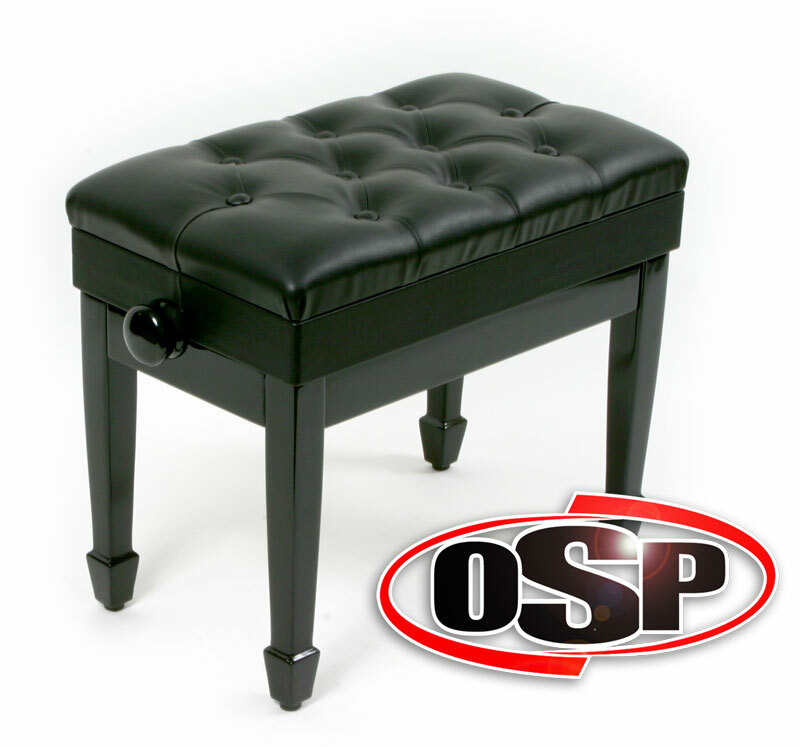 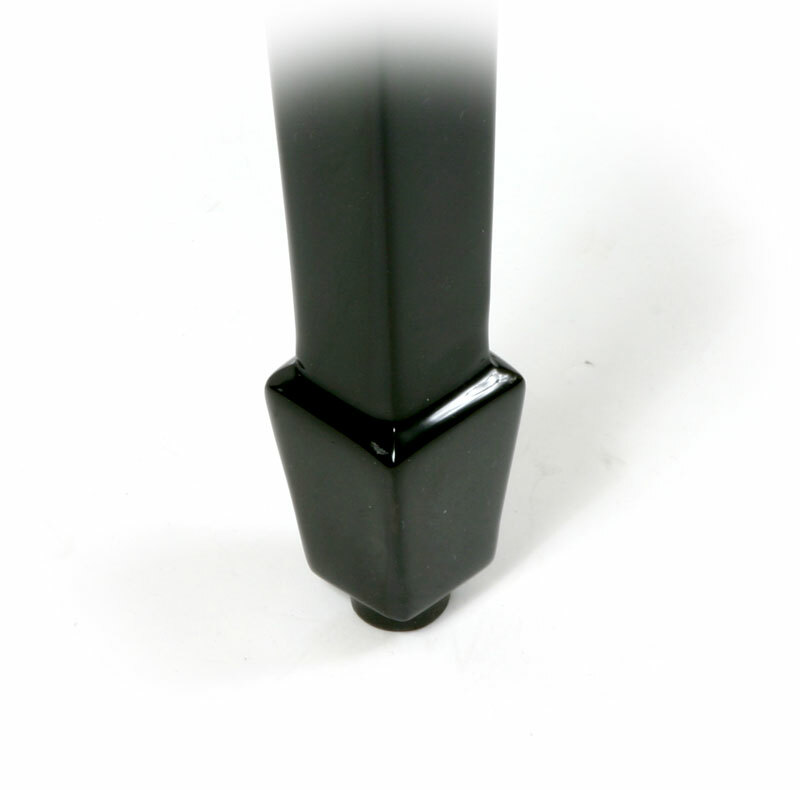 The OSP bench is 22" long and 13.5" deep, with a heavy duty high gloss finish and spade legs. 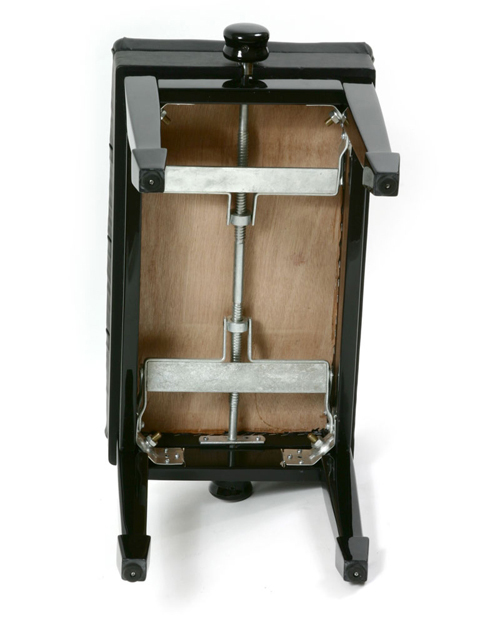 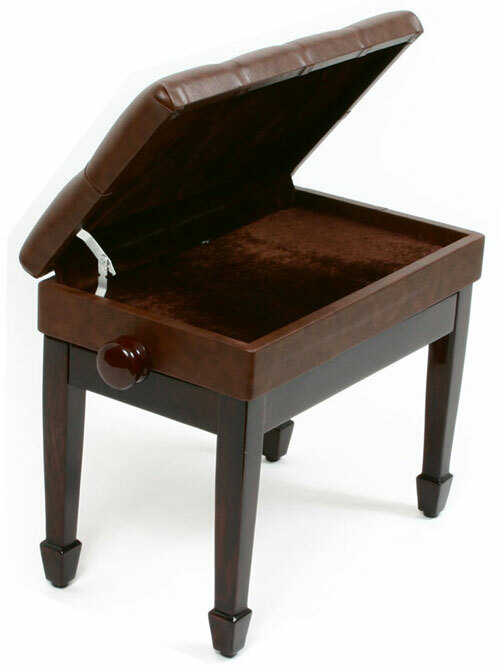 It is constructed from solid hard wood (with 1" thick walls) and features a heavy duty mechanism that adjusts the height from 19" to 21.5". 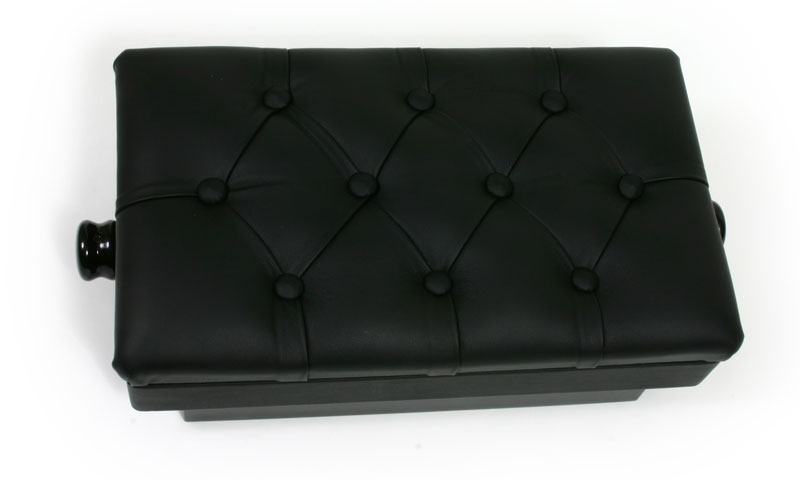 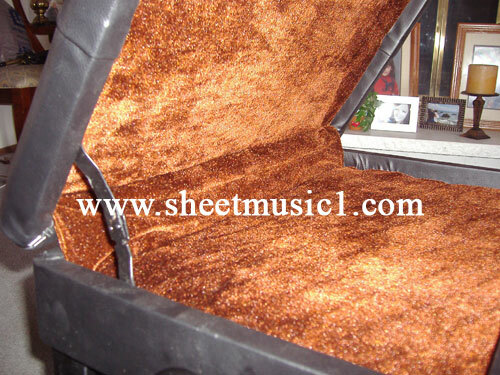 The diamond tufted seat has 10 buttons for extra strength and includes a storage compartment under the seat. 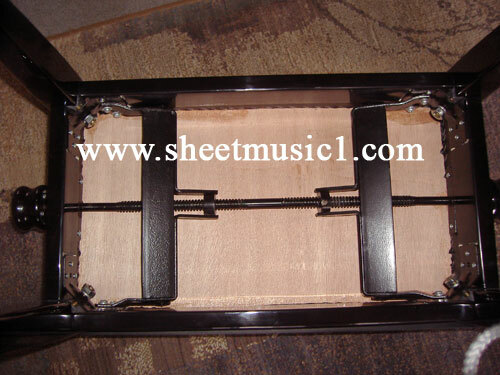 Assembly of the legs is quick and easy and the wrench is provided. 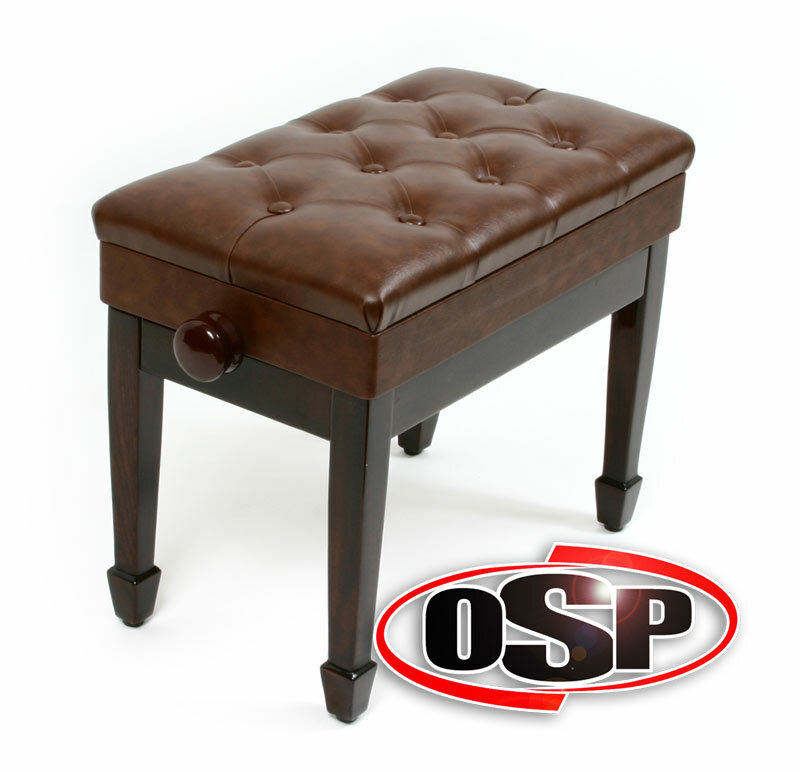 Click the OSP Bench of your choice for additional pictures, information, and ordering info.